With everything that we read in the news today, we wonder how we can raise our children to be the best people that they can be. Teaching empathy and how to care for others is the most important thing a parent can do, especially as technology evolves, creating a more impersonal world day by day. 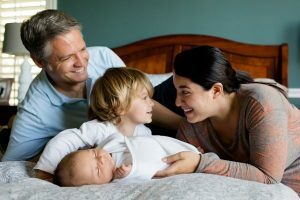 Follow these five parenting tips so that your child will grow up to be the kind of person you’d like to know. Empathy is more than your ability to put yourself in someone else’s shoes. You must also put people’s needs and desire before your own. As a parent, it’s important that you constantly remind your child that they are not the center of the world and that there are others around them who also have needs that need to be met. Part of being a truly empathetic person is being gracious and thankful at all times. Give your children as many opportunities as you can to let them say please and thank you. Remember: you must be consistent with this concept, or else it might fall by the wayside. Teach them to say please and thank you to you and your partner, to siblings and peers, and to everyone they come in contact with throughout the day. Most children are solely focused on their small group of friends and/or family members. Remind your child to think of people outside their inner circle like the new kid at school, a student who speaks another language, or other people they see regularly but don’t speak to very much. Focusing on people in your child’s outer circle is just as important as focusing on those in their inner circle. To model empathy, encourage your child to consider how his or her personal actions affect those around them.